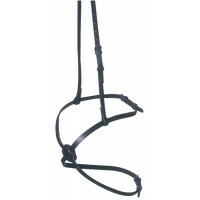 Synthetic leather paded with Gel-lite, velcro straps. 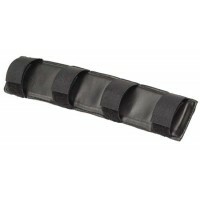 Dissipates pressure points. 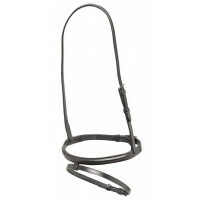 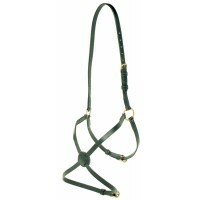 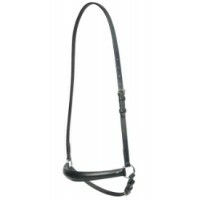 Ideal for us..
Raised and stitched drop noseband. 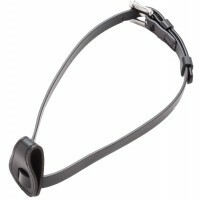 Used to prevent the horse from opening it's mouth to avoid the ac..
Offers similar benefits to a drop noseband but is said to be less constrictive to the horse's breath..
• Combining exceptional quality and value, Jeremy & Lord® Fine Bridleware will satisfy the needs..
Leather noseband with raised nose pieces and a Hanoverian strap to help prevent opening of the .. 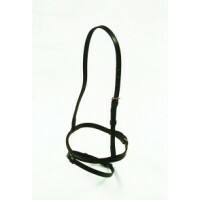 Stops the horse from opening its mouth or crossing its jaw. 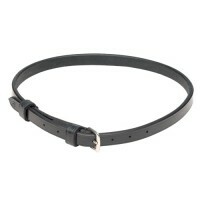 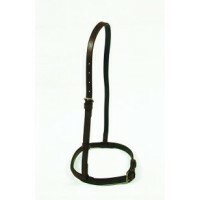 Aintree leather Spare strap/flash o..